The product featured in this post was provided for review at my request by Jolse. Learn more about my rules for PR samples and sponsorships by checking out my sponsorship policy and sponsor list. Affiliate links in this post are marked with an asterisk(*). You guys, my two-year nightmare is over! I finally found a cleansing oil that I truly, absolutely, wholeheartedly love! And I forgot to take pretty pictures of it and I don’t feel like waiting for daylight/random flower picking times to publish this review. So check my IG in the next couple of days if you want to see some illi cleansing oil pr0n. I’ve been interested in illi, Amore Pacific’s hanbang line, ever since I tried a few of their beautifully packaged and really nice sheet masks, so when my contact at Jolse got in touch and asked if there was anything I wanted to try, I immediately hopped onto the site and searched for the brand. And was bummed to learn that the vast majority of illi’s offerings are body care rather than facial care. I ended up picking out the Total Aging Care Cleansing Oil, crossed my fingers, and hoped for the best. Do not use if: You are sensitive to isopropyl palmitate and other coconut oil derivatives and/or have an aversion or sensitivity to mineral oil, beautiful fragrance, or anything else in the ingredients list. For real though, I will take pretty pretty pictures with flowers and stuff soon. When and how to use: As the first step in your evening cleanse, dispense 2-3 pumps of product into palm. Spread over dry face and massage. 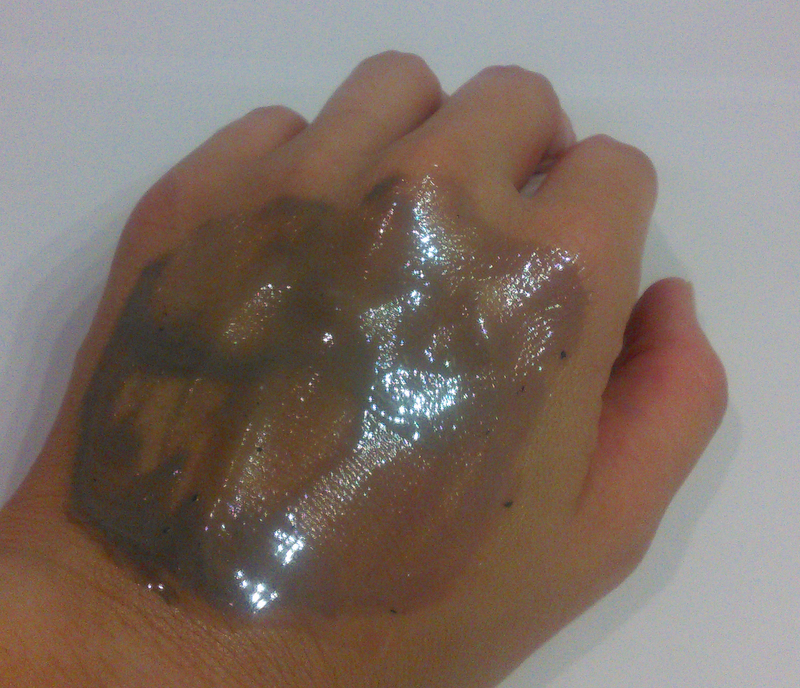 Wet hands and massage again to emulsify. Rinse and proceed with the rest of your skincare routine. Notable ingredients: Though sexied up with hanbangin’ ginseng and tea extracts, illi Total Aging Care Cleansing Oil is at heart a mineral oil-based first cleanser. Mineral oil is often maligned, accused of everything from clogging pores to causing cancer. Good thing the accusations are false. Cosmetic-grade mineral oil is not carcinogenic, does not damage skin (actually, it’s a great occlusive! ), and in general will not clog pores or cause acne since the molecules are too large to enter the pore. YMMV, of course, and some people do experience adverse reactions to mineral oil, but the same can be said of literally every other substance ever, including water. I personally prefer mineral oil-based first cleansers, as I find that for me, they do the best job of removing makeup and getting grits out of my pores. More problematic is the inclusion of two coconut oil derivatives, isopropyl palmitate and capric/caprylic triglyceride. Often lauded by the “all things natural” skincare faction as a miracle ingredient, coconut oil is actually pretty problematic for a pretty large number of people. Its derivatives can be as well, though usually not to the same degree. What I’m saying is that patch testing is always a good idea, and it’s especially important here if you know you have issues with coconut oil. If you don’t have a problem with the ingredients I just talked about, however, count yourself lucky, because you’re in for a treat! 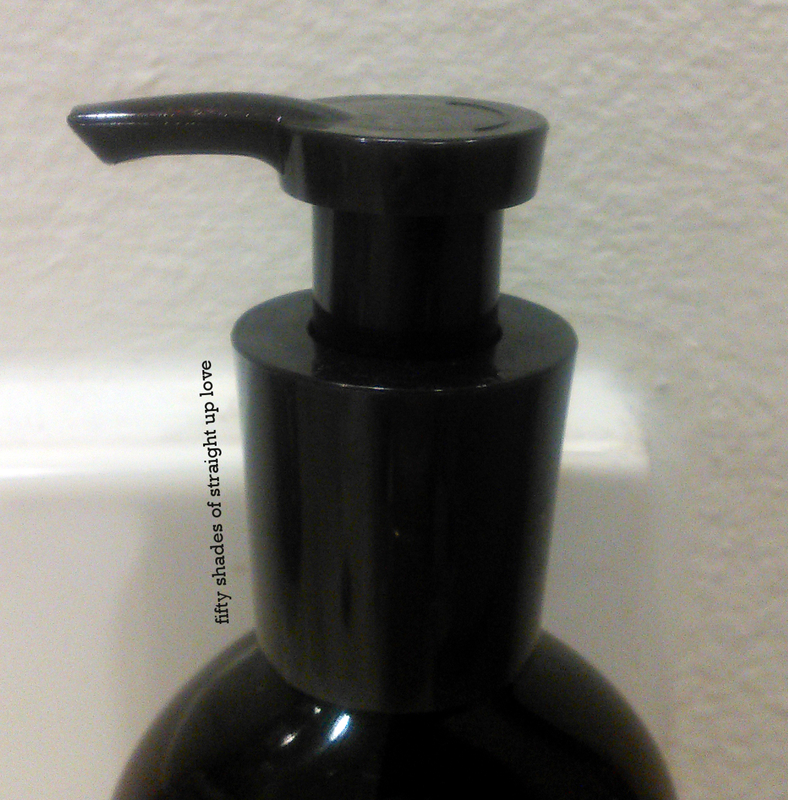 The first nice detail I noticed about illi Total Aging Care Cleansing Oil was the pump. It’s a solid, classy-looking pump, but that’s not what’s special about it. What is, is the way it dispenses the oil. I’ve used more than a few cleansing oils with excessively forceful pumps–Re:cipe Rose Petal Cleansing Oil, for example, shoots out with the force of a mantis shrimp’s punch–which results in splatters and messes and wasted product and loud, angry sighs as I stop what I was doing and go find something to clean the oil up. illi’s pump releases the cleansing oil in a stately gush, no splatters or spills. And if it’s possible for a pump to look classy, I think illi has managed it. But of course that wouldn’t be much of a plus if the product that comes out isn’t good. I wanted to show off my rings. I am not ashamed. To test out the cleansing powers of the illi Total Aging Care Cleansing Oil, I applied a thick layer of Biore Perfect Milk sunscreen to the back of my hand, let it dry, added a heavy dose of Dr. G Bright+ BB cream, let that set, then tarted the canvas up with some Fairydrops Volume Burst mascara (which I can’t use on my lashes because it kills their curl) and Memebox eyeliner and lip crayon. Then I took off my rings and added a half-squirt of cleansing oil. Also unlike many other cleansing oils I’ve tried, illi Total Aging Care Cleansing Oil is thick enough to stay put once I’ve spread it over my face. This is important to me, since I like to let my cleansing oil sit for a few minutes before massaging whenever I have a chance. This allows the oil to loosen up my makeup without manual stimulation, so that when the time comes to massage, I barely have to rub at all to get everything right off. I dislike very thin cleansing oils because they have a tendency to drip and get on my clothes. One night, I put this all over my face and then prepared a pan of rib tips for the oven without losing a single drop of cleansing oil. Score another point for illi. As an additional bonus, this cleansing oil smells marvelous. I think I’ve mentioned on my Instagram that the illi products I’ve tried, despite being “hanbang”-themed, don’t smell like ginger or roots or dirt at all. Everyone’s scent preferences are different; I generally prefer pretty smells rather than earthy ones. illi’s version of the hanbang smell leans heavily towards the floral side of herbal and doesn’t smell artificial at all. It’s not particularly strong, either. In fact, I wish the clean, feminine scent didn’t dissipate as quickly as it does when my face is having a soak. And does it remove makeup? Does it do its one job? This is after about 15 seconds of massaging. Massaging this product in is a pleasant experience. 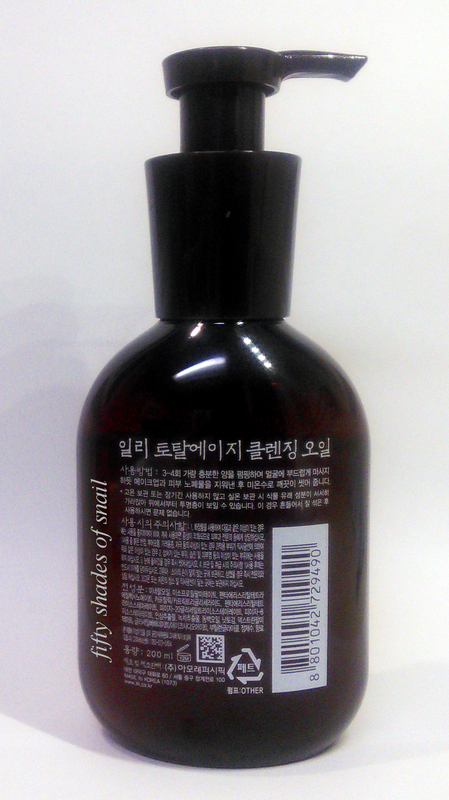 The thickness of the cleansing oil gives it a cushiony, lubricating feel: no friction, no drag. It doesn’t sting or burn my eyes, another plus, and even without a pre-soak, makeup and sunscreen just slide right off. And when I add water, it emulsifies beautifully into a thicker white milk than any other cleansing oil or balm I’ve ever tried. Well, usually it’s white because usually I don’t have that much black eyeliner to remove. It rinses away easily and leaves my face feeling buttery soft, moisturized but clean. A total win. 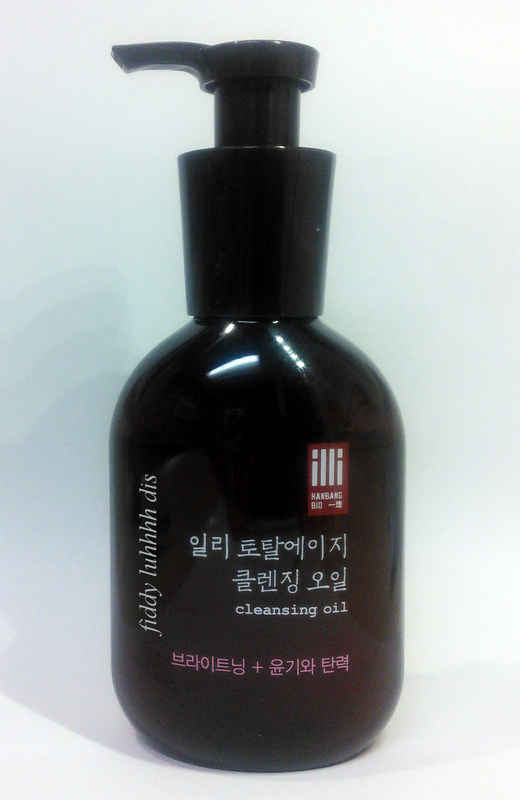 Conclusion: I’ve never enjoyed a cleansing oil nearly as much as I enjoy the illi Total Aging Care Cleansing Oil. I’ll always have a soft spot for the travel-friendly nature of the cleansing balm, but I’m in love with this oil. I will be purchasing more of it when this bottle runs out and am no longer open to considering first cleansers offered by sponsors. I just can’t imagine anything else living up to the standard this one sets. Holy grail. Where can I buy illi Total Aging Care Cleansing Oil? Just picked up Muji mild cleansing oil and I like it a lot so far. I had tried a sample bottle of LaboLabo Dr.Ci’s oil cleanser but that stuff had trouble removing my Heroine Make mascara, so I had to use a dedicated eye makeup cleanser. Plus it smelled a little too citrusy. Three step cleansing feels a little protracted to me, so I’m glad the Muji oil has no trouble with the mascara. First impressions after one week: I really like it, though after this review I might have to try the illi when this bottle runs out! Thank you for this most excellent review! No one – and I do mean NO ONE – could possibly read this review and not be moved, both with gladness for you as well as an immediate desire to purchase this for oneself. Indeed, you might want to mention to Jolse – or perhaps also to AP – that a special version with the inscription “Fiddy luhhhh dis” would, no doubt, sell like hotcakes! I would personally leap at the chance to buy one (or more!) and would cherish it (or them!) always, even after it (or they!) were empty. And the packaging! This is the one (and only) cleansing oil that I know of that would absolutely deserve a prominent place on one’s sink, bathroom display shelf, or to coin a phrase (not mine), one’s “AB Battle Station”! I don’t have an HG cleansing oil at the moment. I’ve used the Tatcha (nice but expensive) and the TFS Rice Water (both regular and light – prefer the regular). They all get the job done, to a greater or lesser extent, but none of them make me swoon. And, that’s too bad, because I definitely consider the first oil cleansing step to be a rather luxurious way to begin one’s PM routine. Needless to say, this one’s now on my wish list! I also note that Illi has a “matching” body oil with similar packaging, and I find that to be quite interesting as well. I like to use body oils – especially in winter – to retain moisture after bathing. If it feels luxurious and has a nice scent (but not overly powerful), then so much the better. You’re welcome! My sweetest of comments are always reserved for the highly deserving sweetest of people! I fully endorse your engraving ALL of your HG products with the Fiddy “Seal of Approval”. I am quite certain that all of the various manufacturers, not to mention all of the major AB distributors, would IMMEDIATELY jump on board as well! I visited Jolse and the deed is done – both body and facial cleansing oils. Jolse appears to be rather what I imagine AB Heaven to be like – a large, ever growing, and never ending smorgasbord of wonderful and lovely products to meet any and every need, desire, and whim. Except that in AB Heaven, there would be no carts and no PayPal, as everything would be FOC. And, there wouldn’t be any “wait times” either! Illi is EVERYTHING. I have the rest of this line, I need to snag this as well! Yo let’s go to Korea. Someone told me this stuff is everywhere there, even 7-11! Is that right? Interesting. I’m going to Seoul next month. I will definitely keep a lookout. Hehe. You are BOTH making AB life VERY difficult right now. Here I have two of my very favorite, extremely knowledgeable (and, of course, most beautiful!) AB bloggers recommending two different HG cleansing oils, both of which seem absolutely wonderful, except to my poor aching wallet. It’s enough to make a grown man cry! But, there aren’t any of those around here, are there? In addition to the capric/caprylic, there are two palmitates and three stearates, and all can be coconut derived. As someone sensitive to coconut (though capric/caprylic triglyceride doesn’t seem to bother me), I’d avoid this more because of the number of coconut ingredients and relative prominence of them. For my daily oil cleanser, I’m still using Kose Softymo Cleansing Oil, but if I make my daily goals in some key areas, I get to indulge with Three Balancing Cleansing Oil, which is my new HG. OMG. That three balancing cleansing oil looks to die for. The pump packaging is probably 70% of the reason why I love my Illi Body lotion. Its the best, most sophisticated, most easy-to-dispense pump I have ever used. While, I don’t mind the fragrance of the total anti-age lotion, I find myself wishing that it smelled more like medicinal herbs as I love the smell of Sulwhasoo and History of Whoo products. On the other hand, the yellow Fresh scent is deliciously citrus-y and summer-y. Discovering your blog has been a gift for my face and a complete curse for my wallet. Oh well—at least I will end up with a pretty bitchin’ oil cleanser as a result! Thank you for the excellent and thoughtful review, as always! 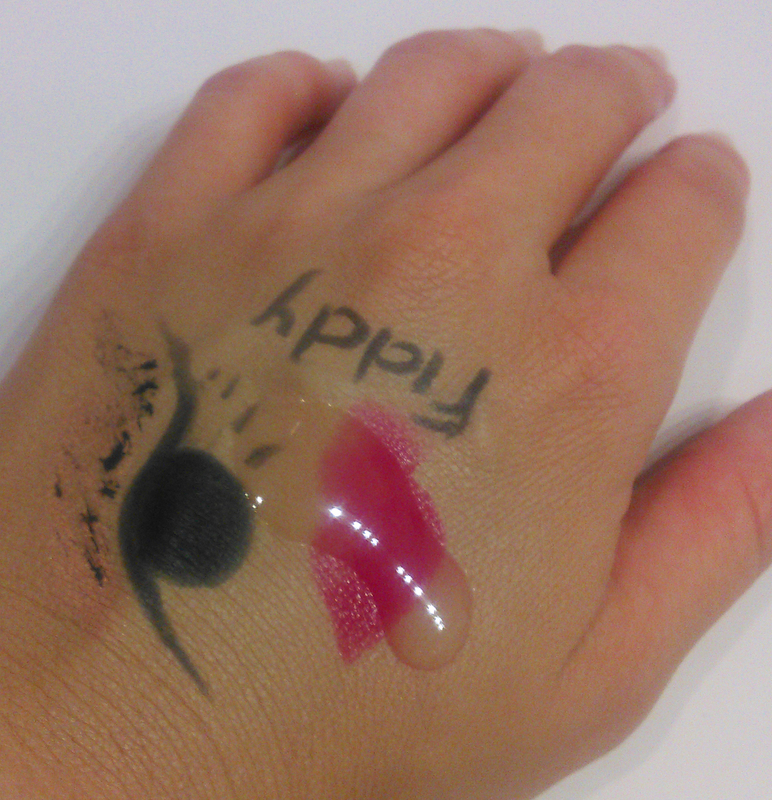 All the Illi products I tried (two in total) were really great quality and great products on their own. I’m totaly convinced that I would love this cleansing oil, too! The way you described the pump made me lol…stately gush…😁..it looks so premium..the whole bottle itself..i really want to try this and their lemon scented body lotion..there goes my budget for the month..! Damn…Today I just opened a bottle of TFS Rice Water Oil! First time I use it, so I cannot give a note yet. Seems nice, though. Finished the Oskia Renaissance Cleansing Gel, which is pretty nice, but not Holy Grail (and expensive I might add). Now I have to wait for the TFS to be finished, or my wallet (and my husband who keeps opening the door to the mailman with yet another korean package), explodes!!! I’ve been using the TFS Rice Water Cleansing Oil and think it’s a pretty good product. It certainly “takes the day off” effectively and with no issues. I also tried the “Light” version as a summertime oil cleanser and, while it was “lighter” than the regular one, it was also not quite as good either, IMHO. Fiddy’s timing on this post was (as usual) exquisite as I was running low on the TFS and beginning to think about what to try next. The Illi from Jolse just showed up yesterday, so I’m quite excited to try it out. What’s the verdict so far? I keep coming back to this post and crying a little inside because I really dislike all four of the oil cleansers I’ve tried so far, but this illi one is not wallet-friendly! While I very much appreciate your interest in my thoughts on this matter, you have left me in the rather unenviable position of having to indicate a “preference” (I won’t say “verdict”) on 2 products that have been recommended (indeed, raved about) by 2 young (REPEAT – YOUNG), very knowledgeable, very accomplished, and, of course, very beautiful women, both of whom I hold in the absolute highest of regard (and then some). Before I get to my “preference”, a couple of provisos. First, in my attempt (never successful) to emulate the dedication and professionalism that those lovely and wonderful people mentioned above bring to the AB discussion, I usually test out new products for more than a couple of weeks before coming to any kind of conclusion, and especially when 2 products, even of the same type, are involved. Second, it may (or may not) be the case that I typically do not have as much “product” on my face as others do, so my regimen may (or may not) be as stern a test of the efficacy of these products as that of others, most notably those of the stronger and (WAY) more fair gender. While I do pride myself on having a fairly complete and thorough multi-step AB routine both AM and PM, I can also say with some certainty that the face I present to the world on a daily basis is not generally augmented with eye liner and shadow, blush, highlighter, contouring, “strobing”, etc. While I have nothing against these products being used – appropriately – by anyone (and I do mean anyone), I will neither confirm nor deny the presence of same on my face with any regularity during the past couple of weeks. Neither of these oil cleansers is inexpensive. The Sulwhasoo was about $33 and the Illi about $26 – both from Jolse, evidently the “bae” of choice for many ABers. If you want something less expensive, you might try any of a number of (non-AB) oil cleansers that can be found in most drugstores, or, perhaps, a Micellar water for the initial cleanse. I’ve read some good things about the Simple water and that one’s not too expensive, especially when it is (often) on sale. I LOVE the packaging of the Illi and especially like the safety catch on the pump as well as the cap for the nozzle. This makes it good for travel and certainly, the Illi would look good in any hotel bathroom, even an expensive one! But, on my combo-oily skin, the Illi felt almost like a “dry” oil and didn’t emulsify as much as other oil cleansers I’ve used. 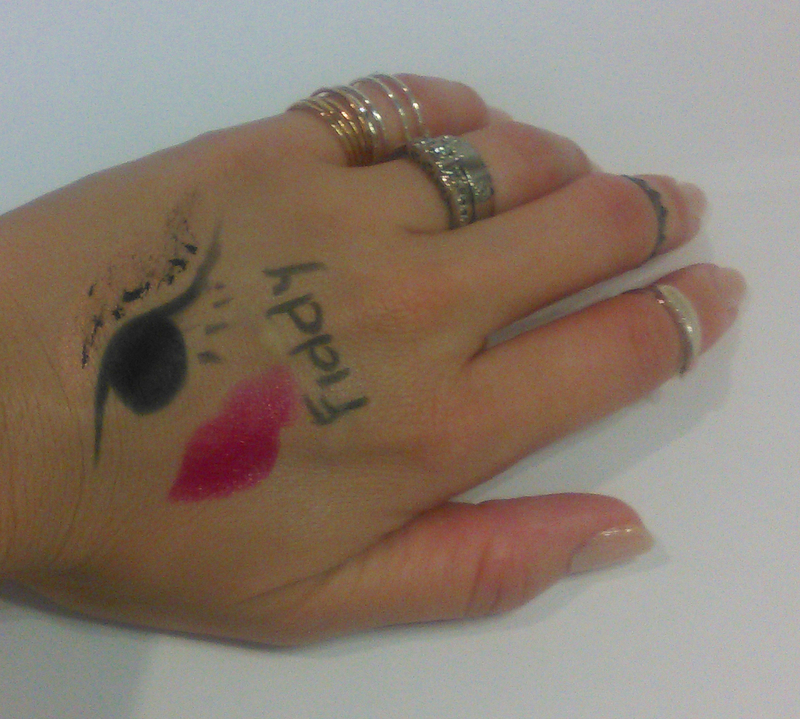 I do agree with Ms. Fiddy that one could easily leave the oil on one’s face and do “other things” without it ever dripping off. That said, it did do a satisfactory job of removing whatever was on my face in the PM, and leaving my face feeling soft, smooth, well cleansed, but not stripped. The scent was nice but rather muted, IMHO. The Sulwhasoo, OTOH, was in another league as far as I am concerned. The packaging is the usual Sulwhasoo understated elegance, but without the excellent safety features of the Illi (so it stays home, sadly). This was a much “oilier” oil (and thus drip prone), with a glorious burst of Hanbang scent (that I LOVE), and emulsified like no one’s business. The Sulwhasoo made my initial cleanse a most luxurious and enjoyable experience, with little doubt as to its effectiveness. Indeed, it truly made me look forward to my nightly routine, and always started it off with a (Han) bang. So, IMHO, the Sulwhasoo wins hands down, which only proves, yet again, that AB is very, very YMMV. I don’t regret purchasing the Illi and, indeed, will revisit this cleanser again when the warm weather returns, as I suspect I might like it better as a summertime oil cleanser (unlike the TFS Rice Water Light, that I thought was a total “light weight”). I’ve also been comparing the CosRx low-pH cleanser with the Sulwhasoo Snowise EX lately. The CosRx is much less expensive and is quite good, so it rates quite highly in terms of “cost effectiveness”. But, I don’t especially like the scent at all. OTOH, the Sulwhasoo is equally as effective (at 3x the price) but provides an very luxurious experience like the oil cleanser. So, my PM double cleanse routine is “All Sulwhasoo All the Time” right now. If it makes anyone (and especially Ms. Fiddy) feel any better, I did also get the Illi Body Oil and I quite like it. It nicely locks in the moisture on my skin after I shower, has a slight citrusy scent that goes with most of my fragrances, and doesn’t leave me feeling “oiled up” like some body oils do. Nice stuff! Sure! Just please make sure to credit me with a link. After a lot of thinking, I’ve finally decided on an oil cleanser… but with attempts to stick to a tight budget, but willing to pay a little more for something that will work as I want it to… I went to an ebay seller who has it the cheapest I’ve seen and also who guarantees authenticity. Is there anything to be wary of when not buying from major retailers? Like fakes, expired goods, etc? Have you ever seen a dupe of this? I chanced upon this post when I was googling for ways to reduce my pore size that has begun to be big enough of a problem recently. I’ve been toying with the idea of cleansing oils for a while now, but because my skin type is more inclined towards the oily side of the spectrum, I have an inherent reluctance to take that step. Given that I do not wear make up and/or sunscreen when I do not absolutely have to (i know, it’s a bad habit, but i really detest the feel of sunscreen weighing down on my face), would you still say that a cleansing oil is necessary as part of my daily routine and/or the 3-step pore reducing routine you recommend? Also, would you happen to know of any cleansing oil that is almost as effective as the Illi Cleansing Oil you mentioned, but has no coconut derivatives in it? Because I’ve become a total Fiddy addict, of course–I bought this. And while it’s a cleaning bonanza, the one thing that really startled me, seeing how much you seemed to love the scent was, you guessed it–the scent. To me, it smells EXACTLY like pipe tobacco, of the sort of fruity-kind that men used to smoke all the time half-a-century ago. Now, that’s not necessarily a horrible thing, of course. But…it’s very, very noticeable, and not really floral. I was surprised, when I whiffed it.